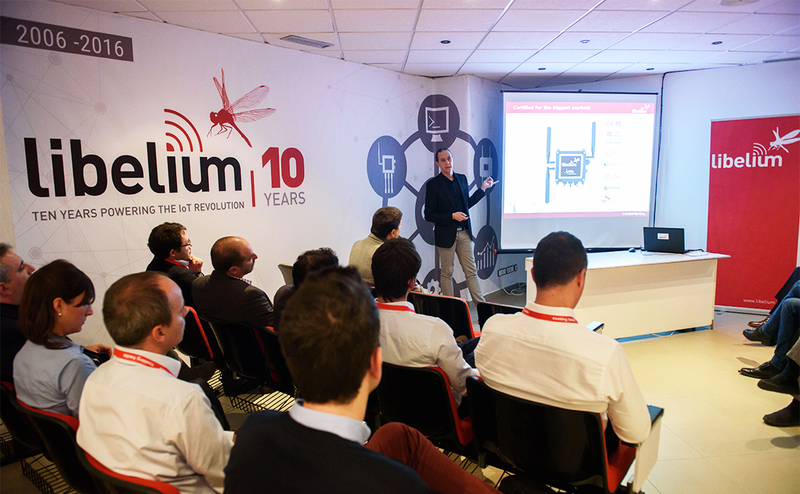 This year Libelium is celebrating its tenth anniversary in the Internet of Things and Smart Cities markets. 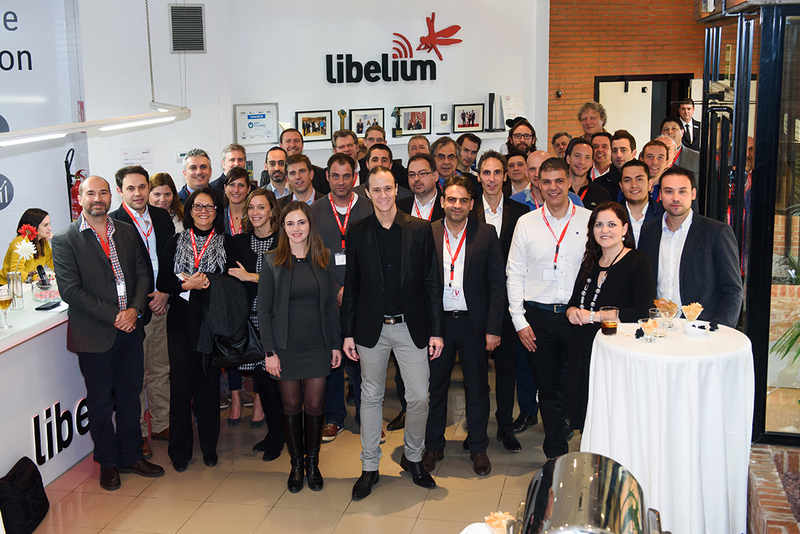 Between 11 and 12 November, the company hosted an event in Libelium headquarters with worldwide partners to enjoy a networking journey and also present the last releases (Meshlium, Waspmote OEM and Waspmote Plug & Sense! new versions). Libelium prepared a program full of activities to discuss about current state of the market, main challenges and future trends for IoT projects. 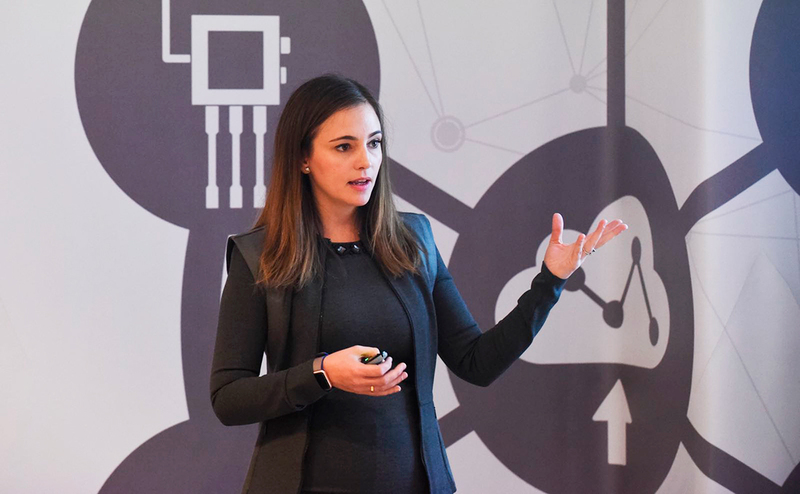 Alicia Asín, Libelium CEO, and David Gascón, Libelium CTO, explained Libelium vision of IoT and the roadmap for 2017 and upcoming years. Our VP Business Development & Sales, Javier Martínez, continue talking about interoperability, one of the main requirements of municipalities and something that must be take in account for Smart Cities platforms. Luis Laín and Javier Solobera, Engineering Directors, concluded the working day explaining the features of the new versions of the IoT platforms. Our guests visited the new showroom and all the facilities of Libelium building. On the evening, our partners visited some of the most important historical monuments of Zaragoza downtown and enjoy a Spanish dinner with all the team. The last day, the group visited Aljafería Palace and Zaragoza Aquarium, the greatest river aquarium in Europe, that is equipped with Libelium devices for Smart Water. The weekend has helped Libelium to get feedback from the partners and also strengthen relationships between all ecosystem members.